BRINK CASE, a brand specializing in advanced antenna technology for wireless devices, made its official marketplace debut. 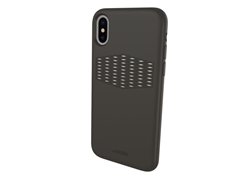 BRINK CASE has two antenna technology products: reach case for enhanced signal strength and alara case (formerly Pong Case) for cellphone radiation reduction. Today BRINK CASE, a brand specializing in advanced antenna technology for wireless devices, made its official marketplace debut. BRINK CASE currently offers two product lines: alara case and reach case. alara is the evolution of the Pong case portfolio and focuses on reducing cellphone radiation exposure to a level that is as low as reasonably achievable, and reach cases provide increased signal strength resulting in fewer dropped calls and faster data speeds for users. BRINK CASE is part of the Penumbra (formerly Antenna79) family of brands. Penumbra’s other brands include Gadget Guard screen protection products and TechTonic eco-friendly tech-hygiene products. Penumbra’s mission is to offer a variety of smartphone accessories which increase peace of mind for smartphone users. For smartphone users concerned about the health effects of electromagnetic radiation, alara is the only case on the market delivering patented, built-in radiation protection without compromising performance, style or functionality. alara cases contain a precision engineered, micro-thin, multi-patented antenna which automatically pairs with the antenna in the wireless device it is protecting and redirects radiation away from the user. Results from rigorous lab testing, verified in an extensive, independent test by WIRED MAGAZINE show the alara case lowers user radiation exposure by up to 67%. Designed to Protect: alara cases offer protection from falls up to 6' and are drop-tested to U.S. military specifications. Affordable: Priced at $39.99 to $49.99, alara protects both the phone and the user. Lab Tested: alara cases are rigorously tested in compliance with international cellphone radiation safety guidelines. For smartphone users who want better device performance in more places, reach case is the only case on the market that extends a smartphone’s internal antennas to improve signal strength. Embedded inside the case is a multi-patented, micro-thin antenna which automatically pairs with the phone’s antenna to improve performance. As a result, users experience fewer dropped calls, greater coverage, and faster data speeds. When in areas with an especially weak signal, extend the sliding mechanism on the case to maximize antenna performance. Offer Protection: They’ve been tested to meet or exceed the military standard drop test of up to 6’. Are Affordable: The cost for a reach case is $44.99. Are Proven: reach case performance is tested in a state-of-the-art antenna lab and also field-tested on live networks. Results show an average improvement of 3dB, which is equivalent to doubling the signal and in poor signal areas data transfer speeds can improve by up to 10x. All products from alara case and reach case are now available at http://www.brinkcase.com. BRINK CASE brings you cutting-edge technology to enhance your phone and your life. Our products are ideal for smartphone users who are looking to get more out of their device whether it's by improving signal strength, enhancing data transfer speeds, or protecting users from cellphone radiation. We're here for you, always bringing the latest in antenna case technology. Press kit is available here: https://www.dropbox.com/sh/6l06tdwfcp0vs97/AAC4iddN70K3GyTJaSc4fmw0a?dl=0.